A coalition of civil rights and environmental groups is crying foul over proposed changes to an important environmental protection as lawmakers attempt to hammer out a last minute deal on the transportation bill. The weakening of the National Environmental Policy Act, or NEPA, would disproportionately harm minority groups, according to a statement from The Leadership Conference on Civil and Human Rights. This law requires agencies to solicit public feedback and consider less damaging alternatives before moving forward on federally funded transportation projects. NEPA is perhaps the most important tool local residents have in fighting unwelcome highway projects — which have disproportionately affected communities of color. The environmental reviews required by NEPA have been a target of some conservative actors who see it as an onerous layer of bureaucracy that slows the delivery of transportation projects. But the NAACP, the Alliance for Biking and Walking, the American Public Health Association and dozens of other groups say these processes have often resulted in major cost savings and major project improvements. These groups point out that, following public outcry, NEPA allowed for the overhaul of a highway project on Michigan’s US 23. 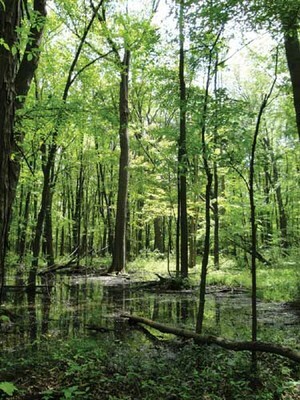 The changes resulted in the preservation of important wetlands — and a savings of $1.5 billion. “While we agree that transportation project delivery needs to move as efficiently as possible, it is important that in our eagerness to facilitate project development, we do not sacrifice the democratic tool available to communities that ensures full and fair participation in the decision making process of the federal government,” the groups wrote in a letter to members of the conference committee working on the bill. Advocates for keeping the NEPA requirements say that the concern over delays is overblown. Ninety-six percent of federal transportation projects fall under the categorical exclusion of NEPA and don’t require any reviews. Three percent get an environmental “assessment” but not a full review. That leaves just one percent of the very biggest and most complex transportation projects that must undergo a full environmental impact review. NEPA is not a law that would rule out any transportation project. It simply says that projects must be reviewed for compliance with other environmental laws like the Endangered Species Act or the Clean Water Act. The House would shrink the window for communities to bring litigation over environmental impacts to 90 days. It used to be six years. That actually could lead to far more litigation, since it leaves so little time to work out a deal outside of the courtroom.